Huaxing Nets provide high quality scallop oyster cage net for all over the world. All the above dimensions can be customized. *Resource use flexibility: scallop oyster cage net can be established in a variety of waterbodies, including lakes, ponds, mining pits, streams or rivers with proper water quality, provided the potential operator has access and legal authority. This makes scallop / oyster cage /net one of the most flexible form of aquaculture. *Comparably low capital cost: Compared to the cost of construction for other large-scale aquaculture methodology scallop / oyster cage /net in can be relatively inexpensive. 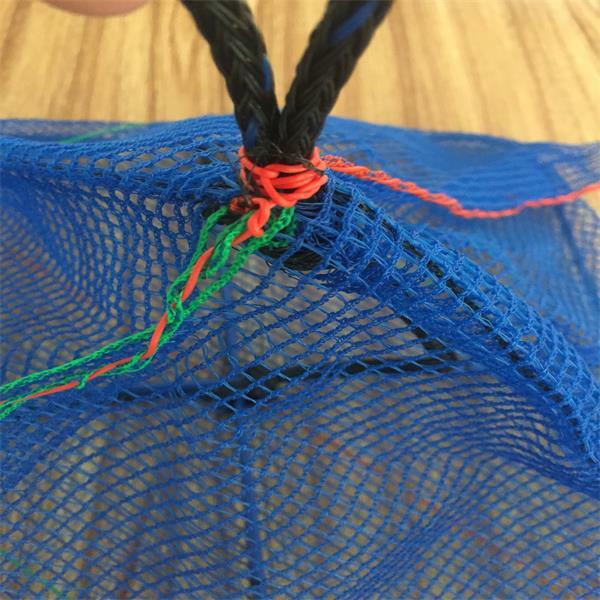 After the spat catching with collector bags, for the initial farming phase, both lantern nets and scallop / oyster cage /net can be used. For this purpose, both are made of raschel net with meshes sizes from 2 to 9 millimeters that effectively protects the larvae from predators. 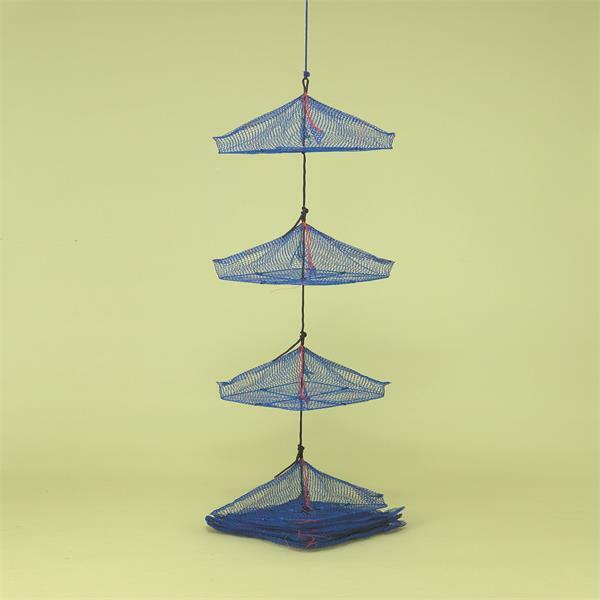 The scallopoyster cage net models for this phase are available with a convenient velcro closing system and the scallop / oyster cage /net with an anti-rust plastic zip. Scallop / oyster cages /nets with a bigger mesh are used from the intermediate cultivation phase to the final one, using mesh sizes ranging from 9 to 31 mm. These scallop / oyster cages /nets are made with knotted net of 100% pure high density polyethylene that warranties an optimal protection for the larvae. The steel frame used in our scallop / oyster cages /nets are first welded and secondly coated with plastic, in order to avoid any rust. This special feature together with our top class nettings give an exceptional lifespan to our scallop / oyster cages /nets. Designed to promote a high growth rate, minimize bio-fouling and the effects of currents and tides , and are designed to minimize servicing time , keeping labor costs low.